The aim of the evening is to re-imagine, perhaps in a radical way, the current power structures and societal developments: can commoning create a viable alternative (urban) economy and be scaled up to really influence city decision making – and be able to tackle issues as affordable housing, energy use, urban poverty and air pollution? To make a real transition to ‘a city as a commons’ would require systemic restructuring and a different understanding of public, commons, participation, etc. : what does this imply for our institutional infrastructure (type of public institutions and citizens) and in the end our democratic system. In the first part of the evening we will assess the definition or notion of the commons and how cultural practices contribute to the commons. In an interview Andreas will discuss these questions with Marcos Garcia. In the second part Michiel de Lange, co-author of The Hackable City and Marleen Stikker, co-founder and Director of the Waag Society will join the conversation and reflect on Marcos Garcia’s contribution and go further into the challenges of the rise of new media technologies for an open, democratic process of commons based city-making. In the third and final part, the audience is invited to take part in the discussion and reflect on the main question: can the city be reimagined as a commons and can commoning be scaled up or transform to have a real impact on city-making or is it only suitable for small structures while the big international infrastructures can’t be touched? 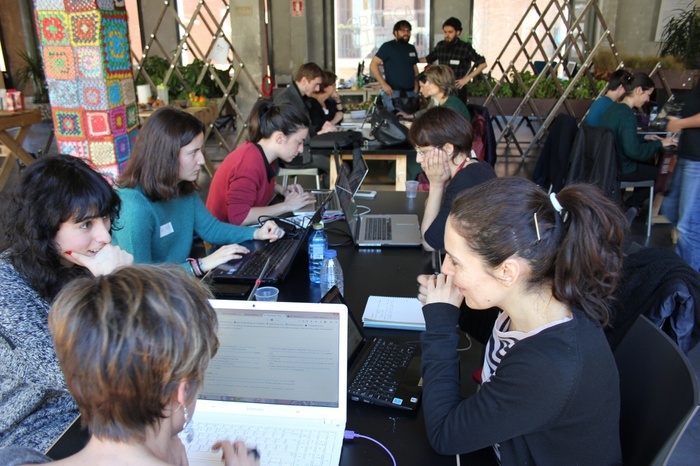 Medialab-Prado (Madrid, Spain) is a digital platform and physical workspace that fosters democratic processes between digital culture and the public space in Spain. With its longstanding cultural commons practice it is in the position to have real impact on the way the public institutions and infrastructure of the city is governed. It explores collaborative forms of experimentation and learning that are emerging from digital networks, especially those practices that enact the commons such as free software, hacker ethics, the Internet as an open infrastructure and peer production dynamics. Medialab-Prado are the 2016 laureates of the ECF Princess Margriet Award for Culture together with theatre-makers and community developers Kretakör (Hungary). The award ceremony will take place in Amsterdam on 15 March 2016. The Hackable City: A Research Manifesto and Design Toolkit is a research project that explores the opportunities and challenges of the rise of new media technologies for an open, democratic process of collaborative citymaking. How can citizens, design professionals, local government institutions and others employ digital media platforms in collaborative processes of urban planning, management and social organization, to contribute to a livable and resilient city, with a strong social fabric? In a hackable city, new media technologies are used to open up urban institutions and infrastructures to systemic change in the public interest. 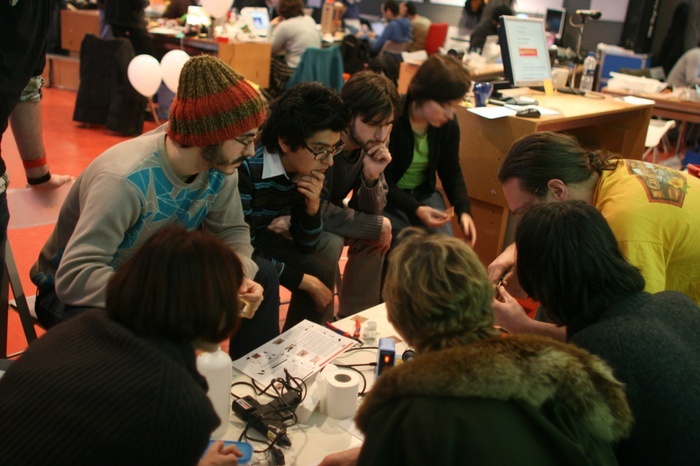 It may seem odd to think that passionate amateurs, open source hackers, various professionals and ordinary citizens could actually collaborate and produce interesting new ideas. But that is precisely what Medialab-Prado has succeeded in doing in the last eight years. New Democracy: Co-creating the City New Democracy: Whose Europe Is It?